Right after the Thanksgiving Day festivities come to an end in the United States, here comes the Black Friday, which bears a plethora of discounted deals and amazing offers for the buyers. Though Black Friday is gone in the US, there are a lot of companies who are still offering many freebies and various discounts on their mind-blowing products. Amidst plenty of these Black Friday deals, here comes Dropbox, which is also making an offer of a good discount on its Pro Subscription plan. The Pro Subscription plan originally comes with a storage capacity of 1 TB and allows unquestionable syncing of photos, videos, documents, and other files. Now additionally, the users will also be getting a free Dell gift card to sweeten the deal a little further. Dropbox is one of the most popular and eminently utilized services pertaining to cloud storage on a global platform. It is a simple and a powerful home for storing all the photos, documents, videos, and other files, wherein all the stuff is safe and accessible to the user, anywhere and at any point of time. The Dropbox Pro subscription plan usually comes at a price of $99, which is roughly Rs. 6,800 INR, for 1 TB of cloud storage per annum, whereas the monthly plan cycle costs about $9.99 per month. However, with the latest Black Friday deal, Dropbox will be giving a backup cloud space of 1 TB at just $59.99 for a 1-year subscription. It is important to note that these Dropbox Pro subscriptions will be valid only for a single user. However, its sharing tools can be used by others for the purpose of file-sharing which will give read-only access. The Pro Subscription accounts will also come with features like unlimited file recovery and version history, which essentially means that the user can go back to access any version of the file in the past. However, the free users will be allowed to go back only by 30 days. The Black Friday Deal the Dropbox Pro Subscription is offering more to the users via the offers made for Cyber Monday. The latest deal of the Dropbox Pro Subscription will be available to the users via Dell, which will also be offering a $25 (roughly Rs. 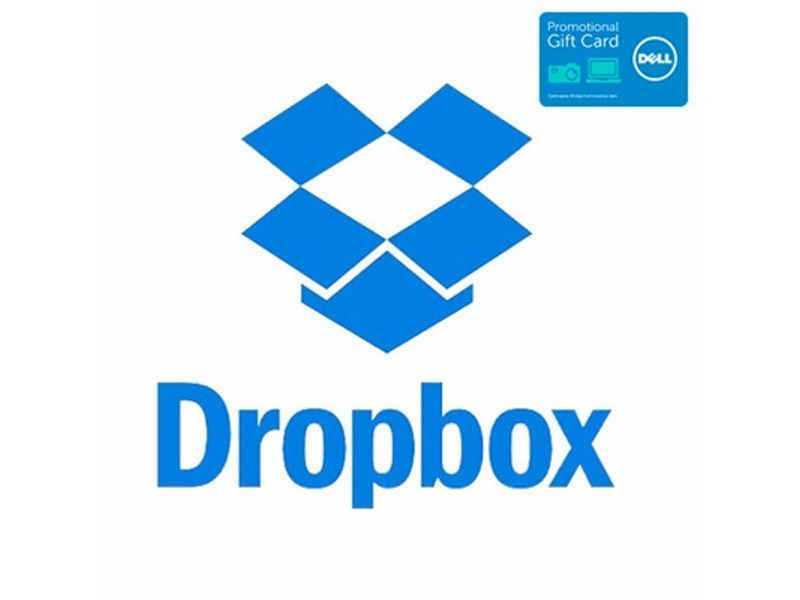 1,700 INR) Dell Promo e-Gift card apart from the Dropbox deal. The Dell Promo e-Gift coupon will get added automatically to the Dropbox cart when the user is about to check out after making purchases of the Dropbox Pro 1TB storage. This e-Gift coupon card can be used to purchase Dell accessories like gaming consoles, mice, keyboards, etc. or it can also be used to make partial payment while making a bigger purchase. So now, if the users are looking for a solution which offers ample cloud storage, then this Black Friday deal of the Dropbox Subscription Pro is something which is too good to be missed.